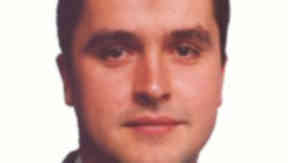 Election 2010: SNP's Angus MacNeil has been re-elected for Na h-Eileanan an lar (Western Isles). The SNP are continuing their run in the area, which began when Mr MacNeil took the constituency from sitting Labour MP Calum MacDonald. Mr MacNeil is married. He was born in Barra, and is a native Gaelic speaker. He studied at Castlebay Secondary School in Barra and the Nicholson Institute in Stornoway. He took Civil Engineering at Strathclyde University and went on to work as a reporter at the BBC in Inverness for two years. He then became a Primary teacher. He won the Best Scot at Westminster section of the Scottish Politician of the Year awards due to his involvement in kickstarting the inquiry into the Labour Party cash for peerages scandal. He sits on the editorial board for Total Poltiics, a free political monthly magazine. He is also currently the SNP’s spokesman for Transport, for Tourism, for Fishing, Food and Rural Affairs and for Scotland Office matters.